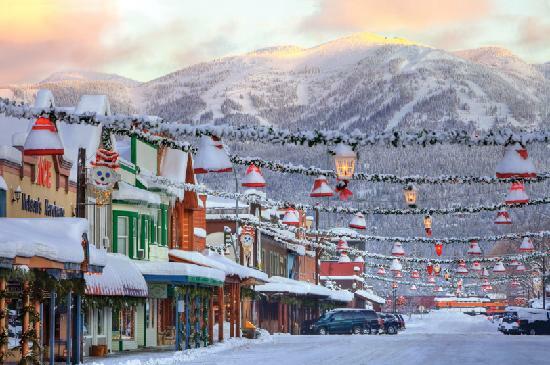 Whitefish serves up a heaping helping of rustic charm amid the rugged beauty of the Rockies. Nestled at the foot of Big Mountain and within a short distance of Glacier National Park and the Canadian border, the area offers no shortage of outdoor activities for all seasons, from skiing Whitefish Mountain Resort in the winter to cycling, horseback riding and whitewater rafting in summer. The town's historic railroad depot and quaint Central Avenue charm visitors with a taste of historic Montana.